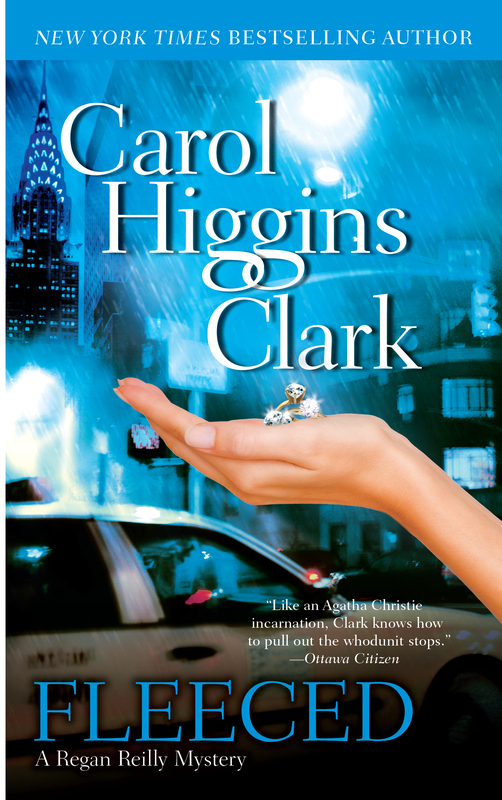 Regan Reilly -- the smart, saucy sleuth featured in all of Carol Higgins Clark's bestsellers -- is in New York attending a crime conference organized by her celebrity-author mother...and enjoying time with a new beau, Jack "no relation" Reilly. It's not long before trouble finds her: a family friend, Thomas Pilsner -- the president of the Settlers' Club on Gramercy Park -- desperately needs help. Two Settlers are dead, diamonds they were donating to the flagging club have vanished, and Thomas is rapidly becoming the prime suspect on all counts. As sharp as ever, Regan sets about solving the mystery of the disappearing diamonds and dead donors in order to save Thomas' neck...before the real killer finds him. Regan Reilly glanced out the window of the plane she'd been on for the last five hours, thrilled to finally spot the skyline of Manhattan. It's great to be back, she thought. This is where I belong. For a lot of reasons. Not the least of which was her new beau -- the head of the Major Case Squad in New York City -- one Jack Reilly, who thank God was no relation. A private investigator in Los Angeles, thirty-one-year-old Regan was planning to attend the crime convention that her mother, mystery writer Nora Regan Reilly, had organized with a handful of her fellow authors. Regan's father, Luke, the owner of three funeral homes in New Jersey, would be there too. It was at Christmastime, when her father had been kidnapped, that Regan had met Jack Reilly. They'd been involved in a coast-to-coast romance for three months. "I'd do anything that would result in your happiness, Regan," Luke had joked -- more than once since he was safely home -- "even be kidnapped." Yes, Jack makes me happy, Regan mused as the wheels of the plane smoothly hit the pavement and the pilot taxied to the gate with no delays. At the baggage claim Regan was inordinately pleased that for once her suitcases were among the first to be spit down the chute. She hoisted them onto the cart she'd rented and hurried out to grab a cab. There was only one person on the taxi line. This is all so easy today, Regan thought. Too easy. Something's got to go wrong. But even though it was after five o'clock on a Thursday, her cab made great time getting into the city. 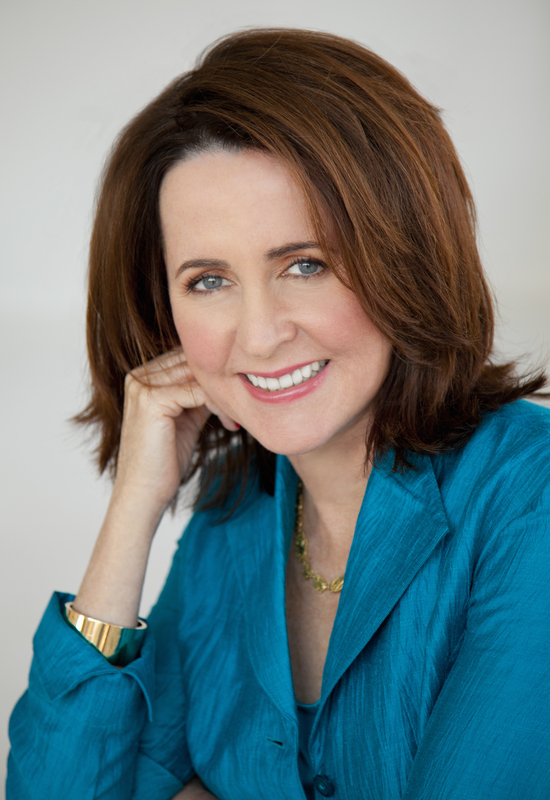 As they passed the Plaza Hotel and headed across Central Park South, Regan smiled. Almost there, she thought. She'd be joining her parents at the convention's opening cocktail party and then for dinner. Jack had an awards ceremony he had to attend out on Long Island, but she'd see him tomorrow. Life was a regular bowl of cherries. At her parents' apartment, Regan felt the familiar sense of comfort that she always experienced when she walked through the door. She quickly showered, changed into a black dress, the nighttime uniform in the city, and hurried out. The cocktail party was still in full swing. Nora spotted Regan the minute she arrived, her maternal instinct on its usual red alert. "Regan, you're here!" Nora exclaimed happily as she hurried over to greet her only child. Several hours later, Regan, Nora, and Luke were finishing a festive dinner at the Gramercy Tavern. All the tables were filled, and the bar was bustling. "That was delicious," Regan said as she looked around the busy restaurant. "This is the perfect place to kick off the weekend. I don't get down to this neighborhood enough." Little did she know that, less than two blocks away, a crime was taking place. A crime that would bring her back to Gramercy Park much sooner than she expected. Nat Pemrod sat at the antique desk in the living room of his splendid penthouse apartment and sighed happily. A few feet away, the door to his safe was open, and all its contents were spread out lovingly in front of him. With a hint of mist in his eyes, he gazed down at his deceased wife, Wendy's, engagement and wedding rings; the pearls he had given her on their first anniversary; the silly little ring they'd gotten out of a Cracker Jack box that Wendy had always treasured even more than her real jewelry. All the bracelets and earrings and necklaces and pins he had bought her over the years were here. Each and every bauble and trinket, cheap or expensive, held a special memory. Nat had been a jeweler for fifty years. A few days ago, he and his buddy and fellow jeweler Ben had decided to donate the proceeds from the sale of four precious diamonds they'd owned secretly for almost half a century to their ailing Settlers' Club in honor of its one hundredth anniversary. They'd both been "Settlers" since their early thirties, and Nat had been in residence at the club for most of his life. The club, founded by an eccentric for "pioneering people with spirit," and located on beautiful Gramercy Park in New York City, had in its heyday been a favored gathering place for social, political, and artistic leaders, a mecca for cultural events. Its membership of "pioneers" had consisted of men and women with a broad range of occupations and personalities, and included a fair share of oddballs. But now the club was suffering the fate of many similar clubs and was in danger of closing. Membership was down, the place was in disrepair, and funds were low. It was sneeringly referred to by some as the "Settled Down Club." With the anniversary party coming up, Nat and Ben had decided they should put their money where their hearts were, so to speak, sell their diamonds, and fork over what would amount to four million dollars to the club. "It should certainly help get this joint jumping again." Nat chuckled. Nat had also decided it was high time to make some final decisions about who would get Wendy's jewelry. When he was gone, he wanted the baubles to be appreciated. But while he was alive he couldn't bear the thought of Wendy's jewels adorning another woman's body. He conducted his private, loving inventory and was about to put the jewelry back in the safe when once again his eyes fell on the special red-velvet jewelry case. Nat's hands trembled slightly as he reached for it. Cradling the case in his outstretched palms, he opened it carefully and stared at the four large and brilliant diamonds that in a matter of days would be turned into cold, hard cash. "I hate to say good-bye to you guys after fifty years of togetherness, but this club of ours really needs the dough." Nat laughed and placed the box back down on the desk. A surge of excitement coursed through his veins, and he clapped his hands. This is going to be fun, he thought. Helping this club fix itself up. The big one hundredth anniversary party on Saturday night. More parties to celebrate throughout the year. Ben and I will be at the helm of it all. It sure brightens up a dreary March. The raw wind outside suddenly seemed to penetrate the apartment. Nat pulled his bathrobe closer and looked around at his living room appreciatively. The glorious wood paneling, the antique furniture, the wrought iron staircase that led up to a balcony with floor-to-ceiling bookshelves, the tops of which overlooked the couch, the fireplace, and the pair of life-sized sheep that were perched in front of the window. Nat and Wendy had bought them early in their marriage because they reminded her of her childhood days on a sheep farm in England. Over the years, Nat had surprised her with any sheep knickknacks he could get his hands on. But the two stuffed sheep were her favorites. They were the children she never had. She loved them so much that when she made a generous donation to the Settlers' Club right before she died three years ago, it was with the understanding that when she and Nat were both dead, the club would take those sheep and put them in a place of honor in the front parlor. Yes indeed, this has been a wonderful place to live for more than fifty years, Nat thought. Ben and I made the right decision to be such generous souls and make sure it keeps going! He jumped up, grabbed the red box, and walked over to the sheep, whom he and Wendy had named Dolly and Bah-Bah. He pulled the two glass stones out of Dolly's eye sockets and replaced them with two of the diamonds. He then repeated the procedure on Bah-Bah, stood back, and smiled. "The eyes have it!" He laughed. "You two look like a million bucks. Your mama, Wendy, loved it when you slept with the diamonds in your eyes. She said you were her precious jewels. This is one of the last nights your eyes will have that special sparkle." Carefully, Nat pulled the strands of wool that were their bangs over their now valuable eyes and patted them both. He dropped the glass stones into the red box and replaced it on the desk. I'll take my shower and then close up shop here, he thought with a smile. He shuffled down the long hallway and through his bedroom. In the opulent marble master bathroom, Nat turned on the jets in the shower full force. "That'll feel good on these old bones," he muttered as he walked past the oversize Jacuzzi and back into his bedroom, closing the bathroom door behind him. "Warm it up a little in there first," he said. The ten o'clock news would just be starting. He lay down on his bed, grabbed the remote control, and flicked on the television. What a day, he thought, chuckling happily. Making plans to give away several million bucks can really tire you out. Nat closed his eyes for what he thought would be a moment but quickly dozed off. When he awoke with a start, the clock on the bedside table read 10:38. Nat pulled his eighty-three-year-old body up and slid down off the old-fashioned four-poster bed that his dear wife had purchased three decades ago at a most serendipitous garage sale. As he pushed open the bathroom door, a wall of steam enveloped him. "Ahhhhhh," he grunted as he took off his bathrobe and hung it on a hook. But something was wrong. He peered through the steam and stepped toward the Jacuzzi. It was filled with water. "What?" he said aloud as fear clutched his heart. "I didn't turn this on...did I?" Startled, Nat spun around. He started to speak, but before the words came out, an intruder emerged from the steam and gave Nat a forceful shove that sent him hurtling backward into the Jacuzzi. Nat's head banged against the side of the tub before it slid below the surface of the water. "Perfect." The intruder watched as Nat's body settled into a nearly motionless state, swaying ever so gently with the movement of the slowly calming water. "It's a shame how many people lose their lives when they slip in the tub. A crying shame." A moment later, the shower jets were turned off and the inside of the stall had been wiped dry. Nelson DeMille Fleeced has the feel and comfort of a good old-fashioned mystery with the edginess and pulse of a modern Manhattan suspense thriller. The Ottawa Citizen Another delightful read. The Calgary Herald Good enough for holiday dessert.